First up is tgoma by Springfree! Back in January we received a Springfree trampoline to review and my kids have been OBSESSED. I thought the novelty would wear off, but it hasn't. At all. They invited us out last week to try out the new tgoma system and y'all. It's awesome. You can click HERE for all the technical details and info, but basically, it's a set of sensors that you put on your Springfree and then you attach your iPad and it turns your trampoline into part of the games! For example... Luke was playing the math game where a multiplication problem would pop up on the screen along with 4 answer choices and he had to jump "on" the answer! It was the coolest thing ever! They filmed the boys playing (I'll share that when it's done) and they had so much fun! And let's talk about GG in her athletic gear. SWOON!!! If you're local, you can click HERE for info on their locations around DFW and if you're going to be around this Saturday you should totally click HERE to register (it's FREE!) for their Plano Event where you can try out the trampolines with tgoma. Next up is the cutest Matilda Jane Promo item EVER!!! 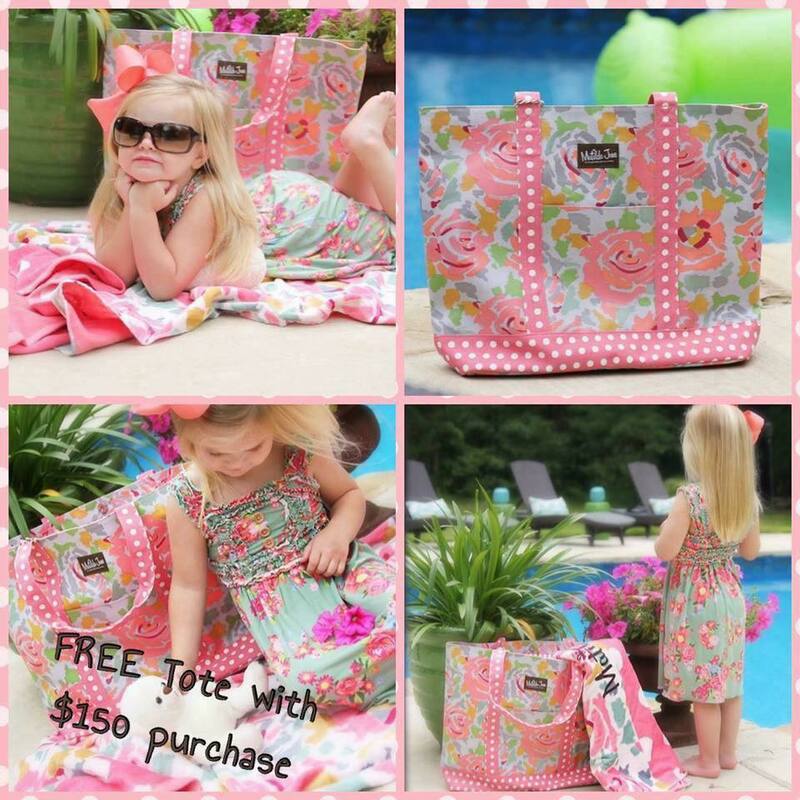 It's a "coated" tote that's perfect for pool, beach and carting around juice boxes that leak in your bag. I have the blue one from last year and got TONS of compliments! The best part is that you can get it FREE when you spend $150! It's while supplies last, so we're closing our show ridiculously fast tomorrow. The sooner you get your list in (like... now), the better! If you haven't ordered before, you just go to www.matildajaneclothing.com and as you browse you add items to your wishlist. When your wishlist is complete, email it to my trunk keeper katkempson@matildajaneclothing.com and put Andrea in as your Jane. Kat will be in touch with you once she gets your list to get your payment info. Since my house is in total SHAMBLES right now I thought I'd post a link to the house tour I did last summer. You can check it out HERE. You have plenty of excuses to be scattered...exams and moving!!! Oh that last picture of your study just makes my heart happy!! I can't wait to see posts about your new house!! Even though I don't know you from Adam, I am so sad that you are leaving that house! I love the layout, the brick wall, the office off the bedroom, the cute little windows under your cabinets...... oh, and that cute little backyard! You did a fantastic job of making that house a home- silly for me to say that since I've never stepped foot inside :) But, I could sense it in the photos!! I can't wait to see how you decorate your new home!! I'm well aware that this comment sounds stalkerish!! Promise I'm not a weirdo, just a mommy blog reader in FL.! Just a friendly psa- I'm a pediatric anesthesiologist and have taken many, many kids to the operating room for pelvic injuries, and upper and lower extremity fractures after trampoline accidents. Just last week I anesthetized a child for a quadriceps tendon tear as well as deep lip laceration and several lost teeth. I know they're fun but it's important to remember how incredibly dangerous they can be! That trampoline looks like so much fun!!! 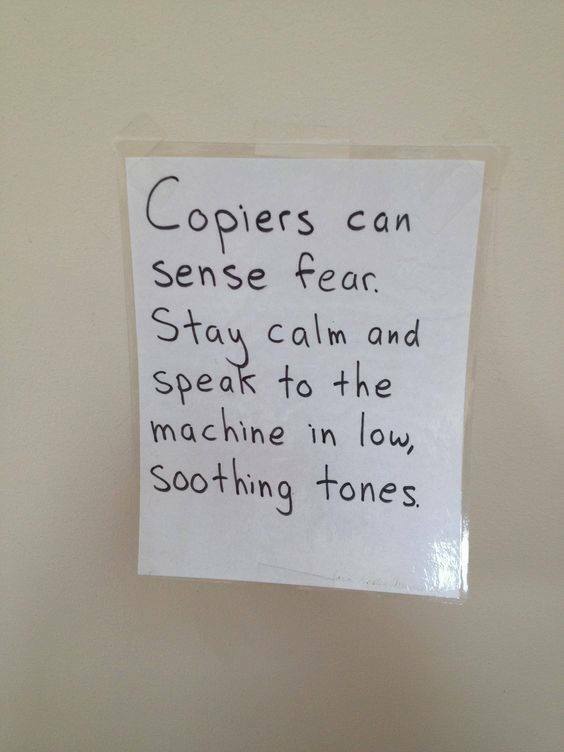 Love the copier sign...that's hilarious. I despise making copies at my kids' schools because the copier ALWAYS breaks!